The Freethought Society (FS) is very pleased to present noted author, blogger, feminist, and secular and human rights activist Sikivu Hutchinson on Thursday, July 24, 2014 at 7:00 PM at the Ludington Library (5 South Bryn Mawr Avenue, Bryn Mawr, Pennsylvania). Hutchinson is a dynamic speaker and the author of Moral Combat: Black Atheists, Gender Politics, and the Value Wars and Imagining Transit: Race, Gender, and Transportation Politics in Los Angeles. Her latest book, Godless Americana: Race and Religious Rebels has been a huge success. Hutchinson will speak on “Feminism, Freethought, and the 99%” at the event, which is free and open to the public. 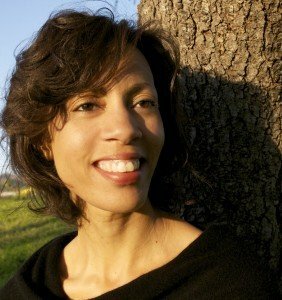 Much of Hutchinson’s work focuses on the cultural and social history of African American secular humanist thought and its role in black liberation struggle. “As part of the most religious ethnic group in the nation,” Hutchinson states, “African American nonbelievers are a tiny minority in a community which has borne the brunt of the economic downturn. While white atheist and humanist organizations go to battle over church/state separation and creationism in schools, black nonbelievers face a racial and gender divide precipitated by rollbacks on affirmative action, voting rights, affordable housing, reproductive rights, education, criminal justice, wages and job opportunities. Hutchinson is a senior intergroup specialist for the Los Angeles County Human Relations Commission. She received a Ph.D. from New York University and has taught women’s studies, cultural studies, urban studies, and education at UCLA, the California Institute of the Arts, and Western Washington University. She is a contributing editor for The Feminist Wire and was named 2013’s “Secular Woman of the Year.” In 2010, she founded Black Skeptics Los Angeles, a nonprofit organization dedicated to providing outreach, advocacy and education for nonbelievers of color and their allies. She is also the founder and project director of the Women’s Leadership Project, a feminist, humanist high school mentoring program based in South L.A. In addition to her three nonfiction books, Hutchinson is currently working on a novel based on the 1978 Jonestown massacre, where the 918 dead were overwhelmingly people of color. Hutchinson’s presentation is free and open to the public and begins at 7 PM on July 24 in the main level large meeting room of Ludington Library. The library is located at 5 South Bryn Mawr Avenue, Bryn Mawr.